Winter has arrived in Michigan – we’re on our 3rd day of heavy snow – yesterday was swirly, twirly snow spinning down and around and to the ground. Today snow is falling quickly, like rain. It’s cold and beautiful and slippery! “It’s a good day for a house,” Mom used to say. Yes indeed. Hubbs is making omelettes and I’m wrapping presents. Christmas tunes play on the radio. We’re cozy, tucked in and content. Reminiscing last night about the Christmases of our childhood, Hubbs and I laughed at how our parents always bought us board games. Well 1), because we asked for them but 2) setting up the board and figuring out the rules kept us all occupied for hours. 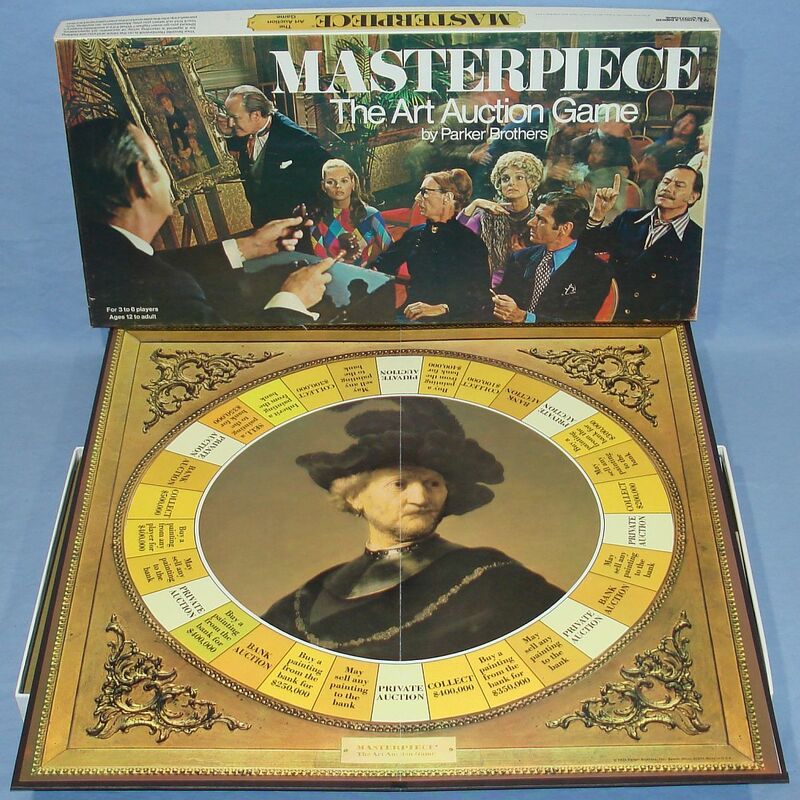 In my home our dining room table often had a board game set there on a rather permanent basis – Monopoly, Clue, Masterpiece, just to name a few. My oldest sister was the keeper of the rules and my youngest brother was the one most likely to bend them. Oldest brother sometimes played and sometimes he didn’t – by my middle sister and I were fierce competitors. The real fun started when our cousins and aunts/uncles arrived. Kids games were quickly moved to a back bedroom as the adults took over for Cribbage, Rummy, 7 card stud and Whist. Hubby and I remember smokey clouds above the card table and counter tops covered in nuts, treats and ingredients for various adult beverages – Caesars, Harvey Wall-bangers and Rum/Rye and Coke. Nobody over did it, Bing and Dean played on the record player and sometimes they danced. Ladies wore dresses and pearls, slingback heels and peep toe shoes. Gentlemen sported dress slacks and buttoned-down shirts, jackets and sometimes a tie or a sweater. I remember Dad grinning as he took Mom for a twirl around the kitchen before guests arrived – I watched in my Church dress and white tights. Those moments stay close even though they’re both gone. Coca-Cola was a hot commodity, too – that was a treat we rarely got. At Christmas time Dad would buy a few cases of pop to keep in the basement (ever cold) and if we were good – and only IF – we might get to split a glass of pop with a sister or cousin. Ooh what a treat. Sipping on a glass of Ginger Ale, stealing Aunt Irene’s famous peanut-butter balls and winning at Masterpiece — now that’s a Christmas vacation I can only dream about today. **When you think back to Christmases of your childhood – what comes to mind? Did you play board games or card games in your family?Which ones? What tastes and smells take you back to the Christmases of your dreams? My parents came from big families and Christmas day was a visitation day. We had tons of company from noon until late. The food was amazing. All homemade. My mom always had small gifts for the little kids. There was beer and wine (God-awful Mogen David) and Seagram’s Seven. It was amazing and exhausting. The day after Christmas was the day I got to play with my gifts in peace and quiet. Then everyone came together for New Year’s Eve again. We are going to have our first snow event today. Very mild by your standards though with a warming trend tomorrow morning turning to rain. Our accumulation will be less than an inch. Aw, sweet post, MJ. Aren’t we fortunate to have had happy homes and special Christmas memories? My memories include my (widowed) Mom wrestling with a live cedar tree, trying to keep it straight and watered. Me, wanting to help with the tinsel icicles, but her wanting them to be hung neatly rather than my method of tossing them on the branches. I remember Christmas cards we received being taped around the window and door frames in the sitting room, a bowl of mixed nuts and one of ribbon candy on the table. Sounds like a cozy day at your house. We’re listening to Christmas music and taking care of some Christmas “chores”. But no snow for us! Indeed we were so fortunate to have had happy homes and happy memories! From the year I was still an infant until I was 30, we spent every Christmas Day at “Aunt Franny & Uncle Charlie’s”. In all those years, I only missed once (I had to wpork that day). We ate the same traditional, Polish food each year and of all the things I miss from growing up, that is what I miss most. From finding just the right tree and Mama cooking Christmas dinners. All such wonderful memories. Family coming over for Christmas dinner checking out what Santa brought us laid out on of beds. Wonderful times! Merry Christmas, MJ, to you and your family. Thank you Shirley, Merry Christmas to you as well!